Want to Drive a Bentley Mulsanne? One of the largest production luxury cars in the world, it’s far more than just the physical size of the car that is big. Underneath the hood is a twin-turbo 6.8 liter engine capable of over five hundred horsepower and seven hundred fifty feet of torque and in the interior is a sound system that offers twenty speakers and twenty-two hundred watts of power. In addition there are twelve way adjustable seats and four separate climate control areas. All of this makes the Bentley Mulsanne the biggest and best car on the road. Define who you are and who everyone wants to be when you drive by in a Bentley. You become the symbol of wealth. Driving a Bentley is an effective statement of how unique and successful you are, attaining a level of wealth that people go to the movies for just a glimpse of that possibility. 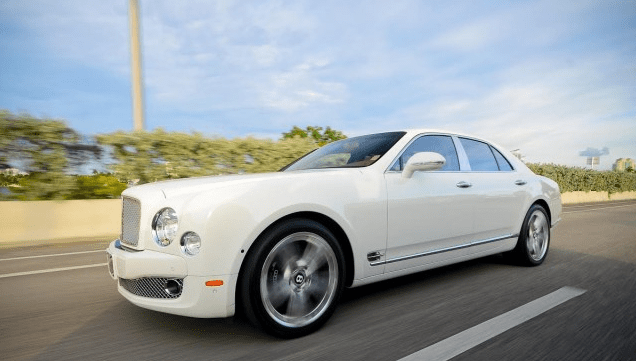 Renting a Bentley Mulsanne is Simple & Convenient!